Easily unlock any vehicle with the help of A1 Auto Locksmith Huntsville, TX. We service auto keyless entry systems and can cut any make or model for car transponder key replacement in Huntsville, Houston, and surrounding areas. Along with automatic and manual auto locksmith services, our company offers reasonable quotes for any type of service over the phone. Even if your vehicle comes equipped with a highly specific computer chip transponder key, we can help you gain access. 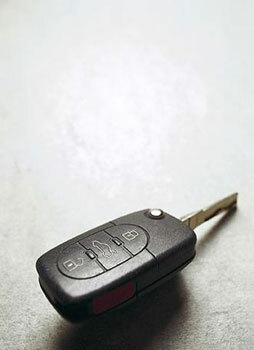 A1 Locksmith can easily provide you with car transponder key replacement. If you’ve have had the unfortunate experience of breaking your key in your lock, you’ll need a broken key extraction. You should turn to no other than The Lock Doc, at A-1 Locksmith, in Huntsville, TX. If you are locked out of your car, no matter where you find yourself stranded, we are happy to have our car key locksmith come to you. With proof of ownership, our fully equipped mobile locksmith shop can cut replacement keys for any make or model of car. Keyless entry or key fobs have made life easier to access your vehicle with a click of a button. But what happens when your keyless entry stops working or you lose it? Don’t worry; our keyless entry locksmith can replace your key for your car, van, or truck. A1 Locksmith is your top choice when you need an auto locksmith or residential locksmith Hunstville. Contact our 24 Hour Auto Locksmith at (936) 755-1739 to request emergency rekeying, keyless entry, or car unlocking service. Auto Locksmith Service Available Huntsville, The Woodlands, Trinity, TX and surrounding areas.